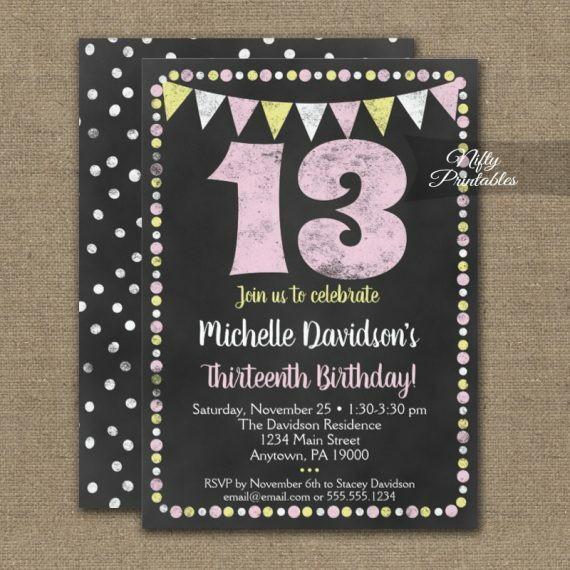 Pink Yellow Chalkboard Birthday Invitation featuring a big chalk “13” at the top, accented with chalk style pink, yellow and white flags and dot border. Chalkboard background and chalky polka dots on the back. Bold and fun for a 13 year old’s birthday party.